Team Stryker is back! After a successful adventure to Edmonton for the Edmonton Comic Expo I’m back home and ready to bring you more Mission 006. 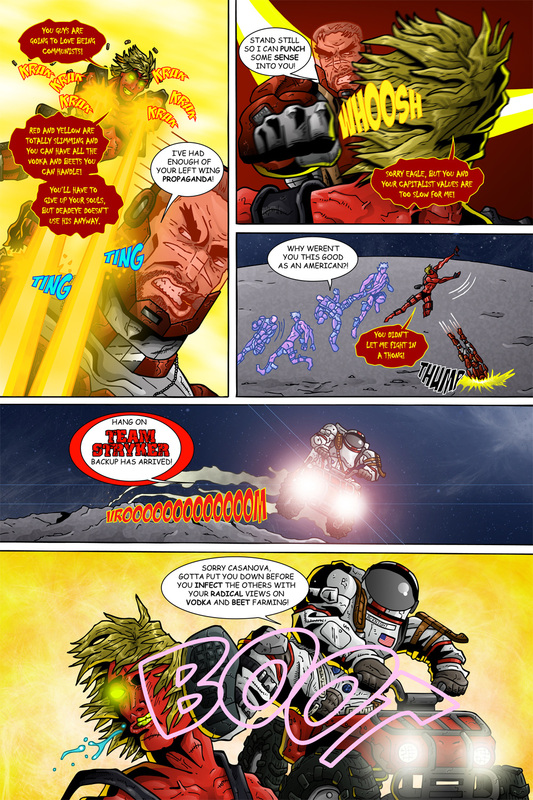 There was a lot of build up to turn Casanova into a Space Commie so it was fun to finally unleash him on Team Stryker. I wanted to highlight the fact that Casanova has the ability to be a formidable opponent, but capitalism has been holding him back. Turning Team Stryker against each other always brings out the best in every character and turning them into Space Commies is no exception.